On November 20th, 1886 Sir Arthur Conan Doyle brought to the world one of the greatest figures in literary history when he published his novel A Study in Scarlet. The book was the debut of none other than Sherlock Holmes. In the nearly one hundred and thirty years that have passed since that novel was first published, Holmes has become one of the greatest detectives in the realm of fictional crime and in the literary world in whole. Holmes’ many adventures have been published and republished countless times over that time. Just as many movies and even TV series have been spawned from Doyle’s “best man” so to speak. There has even been a number of new, original stories crafted by modern authors in the past fifty years or so that have been influenced by Holmes’ adventures. In 2015 Lionsgate Studios released a new Sherlock Holmes story unlike any out there. The story, Mr. Holmes, is based on one of those new, original literary tales that goes by the title of A Slight Trick of the Mind. The book was authored by Mitch Cullin. Despite being marketed as a suspense/thriller piece, it is in fact neither one. In reality it is more drama than anything else as its story reveals. That story is this movie’s central element. The work of veteran actor Ian McKellan is just as important as the movie’s story. Last but hardly least of note in this movie is its cinematography. The various shots of the British countryside in which McKellan’s Holmes resides are stunning to say the very least. Each element is in its own right important to the whole of Mr. Holmes. Altogether they make Mr. Holmes a story that any Sherlock Homes fan should see at least once both because of its differences from Doyle’s original Holmes stories and despite those differences. When Lionsgate brought author Mitch Cullin’s novel A Slight Trick of The Mind to the big screen last year in the form of Mr. Holmes it is safe to say that up to that point, few if any stories like it had been crafted about the world’s most famous detective. That central-most element of Mr. Holmes makes it worth the watch if not more. The movie was originally marketed as a thriller/suspense tale. But in reality it is neither. It is in fact a drama that follows Sherlock Holmes in the twilight of his life as he struggles to remember the events of his final case so as to put them to paper. That, essentially, is the movie’s plot. As audiences soon learn in watching the story unfold, McKellan’s Holmes is battling the growing effects of dementia as he tries to recall the events of the case in question. At the same time Holmes is also having flashbacks to a meeting with a man in Japan whose father the man claims met Holmes years before and left his family as a result. It doesn’t initially make any sense but does eventually tie back in to Holmes’ attempts to recall the events of that final case. At first the story jumps around with few clear transition points, forcing audiences to give the movie their full attention. And it does move slowly at first, too. But as the story unfolds it becomes somewhat easier to follow. And perhaps it could be argued that this was intentionally done so as to accent Holmes’ growing mental struggles. If that is the case then kudos to writer Jeffrey Hatcher for taking such an approach. Regardless it must be mentioned. Even with all of this in mind Mr. Holmes still proves to be a story that is worth at least one watch especially among true fans of Holmes’ many adventures. It is not the only reason that Mr. Holmes is worth a watch either. Lead star Ian McKellan’s work on camera is the movie’s real shining bright spot. The story behind Mr. Holmes is unlike almost any story that has ever been crafted about Holmes since Sir Arthur Conan Doyle first introduced Holmes to the world nearly one hundred and thirty years ago. It presents a story of a Holmes at his worst so to speak rather than his best as he battles the onset of dementia. It is a story that is worth at least one watch. 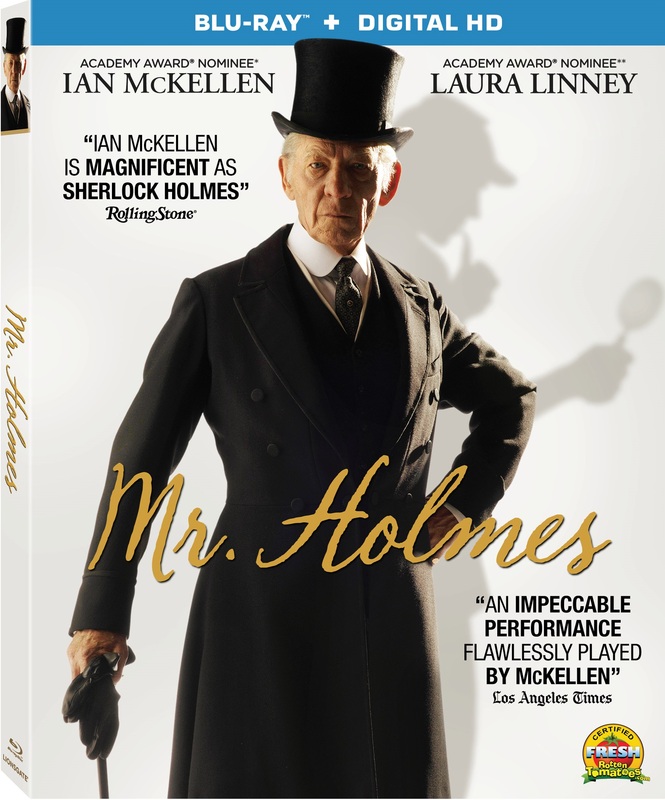 While its separation from so many other Holmes stories makes it well worth at least one watch, lead actor Sir Ian McKellan’s work on camera makes the movie even more worth the watch. He fully embraces the portrayal from beginning to end, creating a character whose struggles make viewers’ hearts hurt for him. It is clear that this Holmes is so quickly slipping away and trying to pass on his love of deduction to a younger generation in his friendship with the young Roger (Milo Parker — Robot Overlords, Ghosthunters on Icy Trails, The Durrells). It would have been so easy for McKellan to go over the top with his portrayal. But being the consummate professional that he is, he avoids that trapping and in turn puts in an Oscar-worthy performance. Even with the Academy voters not giving that credit where it is due, audiences that watch his performance will agree that McKellan has once again put in an award-worthy performance here and single-handedly saved the movie. Sir Ian McKellan’s portrayal of the aging Sherlock Holmes in Mr. Holmes is the movie’s single brightest element. His performance is one that was just as deserving of an award as any of the others throughout his career. That is not to take anything away from the movie’s central story. As a matter of fact McKellan’s performance and the movie’s original story are both reasons in themselves for audiences to see this movie at least once. While both elements give audiences reason enough to watch this movie at least once, they are not the movie’s only notable elements. Its cinematography rounds out its presentation. Audiences will be blown away by the shots of the famed White Cliffs as McKellan and Parker go for a swim in the ocean. The shots of the British countryside where Holmes lives are just as powerful. This is especially to note considering just how few sets were actually used in the grand scheme of the movie. And the footage of the train traversing that countryside is especially powerful. Who cares that the engine and its cars might not have been exactly from 1947. That is beside the point. Watching the engine as it steamed along the countryside is still something that will leave any viewer in awe. There’s something about the contrast of its power against the calm, gentle countryside that just makes it stand out. It’s something that must be seen to be fully understood and appreciated. The same applies with the other noted shots and so many others. Considering this, the cinematography is one more saving grace for Mr. Holmes. together with McKellan’s expert work on camera and the intriguing new portrayal of Sherlock Holmes in this story, the movie in whole proves to be worth at least one watch. Lionsgate’s new Sherlock Holmes story Mr. Holmes is a take on the world-famous detective that is definitely brave to say the very least. It isn’t just another Sherlock Holmes crime story. It is in its own right a tribute to the works of Sir Arthur Conan Doyle as audiences will note in watching the story. But even more so it is a story of the world-famous detective at his weakest. It shows a man whose mental greatness has all but fled him. He is a pale shadow of his former self. Yet even in the twilight of his life he still has just enough left in the tank to finish off his final case and correct at least one of the stories that he claimed Mr. Watson improperly recalled. That story in itself makes the movie worth at least one watch. The work of Sir Ian McKellan adds even more interest to the story. As a matter of fact his portrayal of the aging Holmes is the brightest of spots in this movie. It is just as award-worthy as his work in his other films. The movie’s cinematography is just as impressive as McKellan’s work. It really accents the emotion established by the story’s script. It rounds out the movie’s most notable elements. Together with McKellan’s work and that of scriptwriter Jeffrey Hatcher, all three elements combine to make this intriguing portrayal of Sherlock Holmes one that is worth at least one watch. 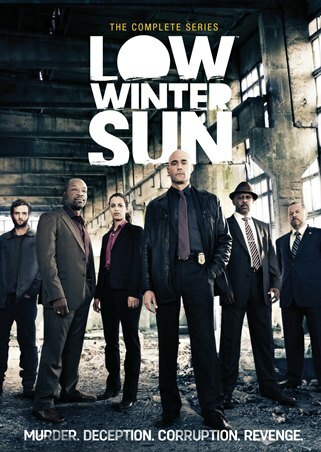 It is available now in stores and online on DVD + Digital combo pack and Blu-ray + Digital HD combo pack. Sir Ian McKellan’s new movie Mr. Holmes will hit store shelves and digital outlets next month. Officials with Lionsgate announced recently that Mr. Holmes will be released on Tuesday, October 27th. It will be released on DVD + Digital combo pack and Blu-ray + Digital HD combo pack. The movie, based on author Mitch Cullum’s novel A Slight Trick of the Mind, sees the world’s greatest detective coming out of retirement to solve the one single mystery that he could never solve. Fittingly the case in question was his final case. Having taken a trip to Japan, Holmes returns home and is forced to use his years of experience and expertise to solve the mystery. Mr. Holmes was awarded the Audience Award for Best Narrative Feature at the 2015 Sydney Film Festival. Both the DVD and Blu-ray combo pack include a pair of bonus features. Those features are listed below. Everybody knows the name and face of Mickey Mouse. The iconic figure has been the face of Disney since his creation. And he’s still the most famous animal figure in the movie world to this day. As famous as Mickey might be, he isn’t the only mouse to grace the silver screen in the annals of Disney’s movie history. Next to Mickey and Minnie, most audiences probably instantly think back to Bernard and Miss Bianca A.K.A. The Rescuers. There is at least one more mouse whose name is likely less prominent in audiences’ minds when asked about famous Disney figures. That mouse is none other than Basil of Baker Street. Basil is the mouse counterpart to author Sir Arthur Conan Doyle’s famed detective, Sherlock Holmes. He’s the star of Disney’s 1986 animated feature, The Great Mouse Detective. The Great Mouse Detective has never enjoyed the popularity of The Rescuers or of any of Mickey Mouse’s adventures. But it’s still a fun movie for any fan of mysteries. One factor that makes The Great Mouse Detective enjoyable is the understanding of how much work went into bringing this film to life. While it’s somewhat short, the bonus “making of” featurette contains some information that will make for a new appreciation for this story. In that same vein, the work that went into bringing The Great Mouse Detective to life included making a believable story and equally believable characters. All of this combined makes it a movie that deserves more attention and credit than what it has gotten in the almost three decades since its debut. The new Blu-ray/DVD combo pack re-issue of The Great Mouse Detective includes a short bonus “Making of” featurette pointing out that it took four years for this movie to come to life. It goes on to point out that a major reason (of not the reason) was the combination of computer based graphics and hand drawn animation. This movie was the first ever in which Disney actually used computer graphics to any extent. As viewers will see in the bonus feature, a lot of work was put into making the final conflict between Basil and Ratigan happen. The feature points out that the clockworks inside Big Ben were created largely by computer. That meant taking extensive lengths in order to mix the CG and hand drawn animation without losing the film’s integrity. The animators behind this mix and the rest of the movie’s animation are to be commended for the work put into making this happen. The animators behind The Great Mouse Detective went into painstaking detail in order to make its animation stand out. So did the writers responsible for making the story happen. Viewers don’t have to have read the books on which this movie is based to be able to enjoy it. It’s a simple story that presents a good guy (Basil), a bad guy (Ratigan) and a mystery. Even more interesting is that in its own way, the writing staff behind the movie made it even more believable in that they made Basil flawed. Here is a character that starts out as a pompous, arrogant individual. But as the story progresses, audiences see him become warmer and more caring towards Olivia Flaversham. Olivia originally comes to Basil after her father is abducted by Ratigan’s henchman Fidget. Basil’s personal growth and his relationship to Olivia is a secondary storyline to that of his search for Ratigan. But it makes the story more heartwarming, and in turn, more enjoyable. One of the most important factors of any movie script’s success is suspension of disbelief. 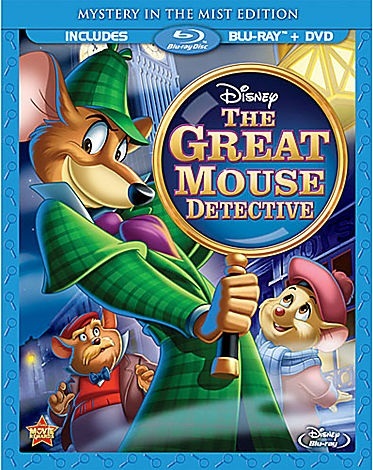 The Great Mouse Detective has a story that easily allows audiences to suspend their disbelief. As a matter of fact, the main story and its intertwining story will pull in audiences with ease. No story is believable without equally believable characters. And believable characters are exactly what the movie has. Basil’s personal growth makes him more relatable and endearing to audiences. On the other side of the spectrum, Professor Ratigan is equally vile and despicable. If there’s one thing that Disney has always had the ability to do, it’s creating great villains. And thanks to the voice acting of the late, great Vincent Price, Ratigan jumps off the screen. He wastes little time establishing himself as an all out bad guy. That he feeds other mice to his “pet” cat without remorse is itself worthy of the title “evil.” Audiences will instantly find themselves booing him. That means from Price to the writers, everyone involved in bringing Ratigan to life did everything right. As one can see, so much went into bringing The Great Mouse Detective to life. From making the art to the story to its characters, the work involved in making this movie a reality paid off. It is a good movie not just for fans of the mystery genre, but for anyone who is a fan of Disney’s history. The new Blu-ray/DVD combo pack is available in stores and online now. It can be ordered direct via Disney’s online shop at http://www.disneystore.com/the-great-mouse-detective-special-edition-blu-ray-and-dvd-combo-pack/mp/1319926/1000316/. Ah, sequels. One of Hollywood’s mainstays in today’s movie industry. This latest sequel is exactly what audiences should and have come to expect of a big time blockbuster. It’s a surprise it was released to theaters in December rather than the Summer movie season, as it has all the requisite flashes, bangs and booms throughout, with a touch of raunchiness thrown in for good measure. The irony is that as much as individuals may want to bash the movie–as it deserves–it’s a guilty pleasure. If not for the action, the globe hopping from the streets of London to Paris to the snowy maountaintops of another country would be enough to leave most viewers’ heads spinning. Luckily all those special effects are there, distracting viewers. If the fast paced almost Dan Brown-esque storytelling and special effects aren’t enough trouble, there is no denying the close similarities to The League of (not so) Extraordinary Men in terms of the settings and special effects, and even the story itself. It’s almost like this story was lifted from the prior movie and altered for this sequel. Thankfully, the special features included in the DVD and blu-ray do make up for all of that. The bonus features included on the dvd and blu-ray show a cast who didn’t merely show up and recite their lines. Rather, they seemed to be good friends who were coming together to actually make a movie. Perhaps that friendship actually helped to make the acting believeable. This adds some level of enjoyment back to the movie. It isn’t all, either. In the defense of this movie, there is also a discussion on the slow motion fight scenes included in the bonus features. It’s interesting to note that the actors actually did peform the fight scenes themselves in slow motion. The special effects were only added after the fact to enhance the scenes. And director Guy Ritchie was interviewed concerning the selection of Jared Harris for the role of Dr. Moriarty. It was nice to see that he paid attention to detail, rather than simply going for the style of Moriarty that has been used so many times before. He did make the attempt to stay true to the original villain. So kudos to him for that. 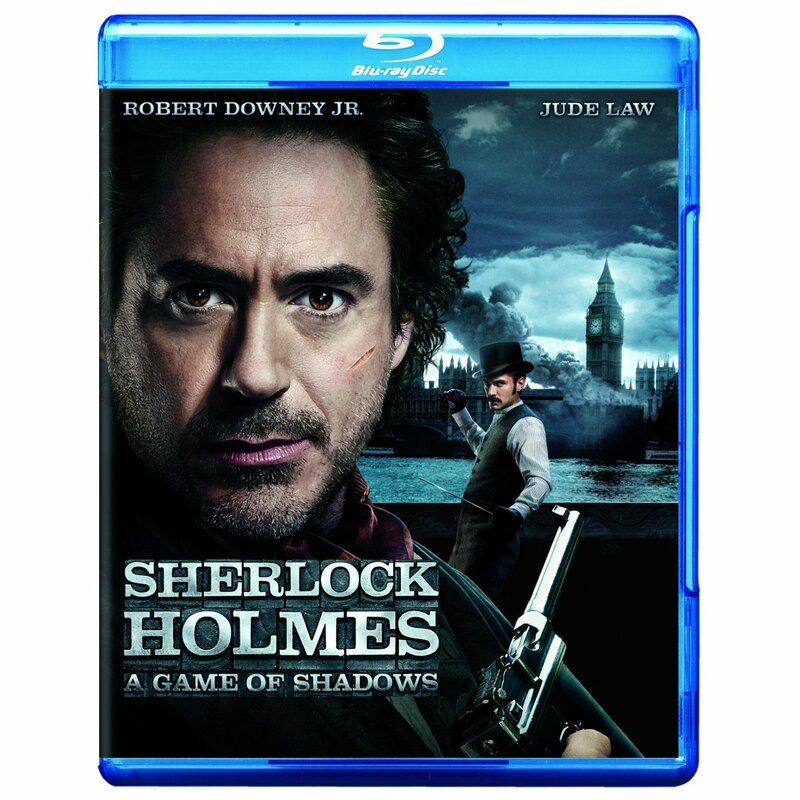 Speaking of the not so good Doctor, the bonus features even include a feature on the the showdowns between Holmes and Moriarty, including the chess scene near the movie’s end. It was interesting to learn that people would actually act as Holmes and Moriarty did in this scene. For that matter, that they would bring in a professional chess player to teach Downey and Harris about the game actually adds some credibility to the movie. Overall, Sherlock Holmes: A Game of Shadows is hardly the most memorable of major blockbusters. The reality is that while it is a guilty pleasure, it’s still enough to make audiences hopeful that Hollywood’s elite brass will one day soon finally start to take chances on real movies again, rather than rely on forgettable pieces like this.